Laryngitis is swelling and irritation of the larynx (voice box). It causes hoarseness and, in some cases, voice loss. It can be acute (short-lived) or chronic (long-lasting), but is usually the result of a viral infection or vocal strain and clears up quickly. Persistent laryngitis that lasts longer than three to four weeks could be a sign of a serious condition and should be evaluated by a doctor. Your vocal cords, located inside the larynx, work by opening and closing, forming sounds when they vibrate. But when they become inflamed, sounds are distorted, making your voice sound hoarse and – in some cases – indiscernible. This can be caused by a number of factors including colds and viral infections, allergies, misuse of the voice, bacterial infections, acid reflux, sinus infections, vocal cord lesions and smoking. A certain degree of hoarseness is common as we age. 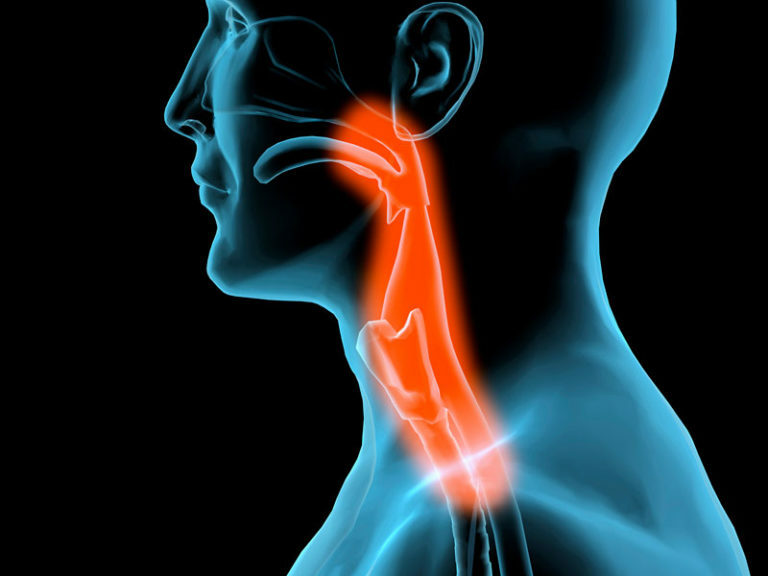 Treatment for laryngitis depends on what is causing your symptoms. To find this out, your doctor will review your medical history and complete a physical exam. In order for your doctor to get a better look at your larynx, a laryngoscopy will be performed. There are two ways to perform a laryngoscopy. One involves a light and a mirror; once positioned correctly your doctor is able to see down your throat. The second type is the preferred method and involves inserting an endoscope through your nose. The endoscope is a thin flexible tube with a light on the end. Either of these versions will allow your doctor to take a closer look and watch how your vocal cords react when you speak. Home remedies are often the best treatment for laryngitis, especially when it’s acute. Your main priority should be resting your voice, using it only when absolutely necessary. Attempting to speak while suffering from laryngitis can result in permanent damage to your vocal cords. Keep hydrated by drinking plenty of fluids and avoid alcohol and caffeine, which can lead to dehydration. A warm saltwater gargle several times a day can help relieve discomfort. Stay away from cigarettes, which can cause irritation and may worsen your condition. Do not try to clear your throat of mucus; sip on water instead. Call Comprehensive ENT, if your hoarseness persists, at (804) 228-4480 for more information or to schedule an appointment.